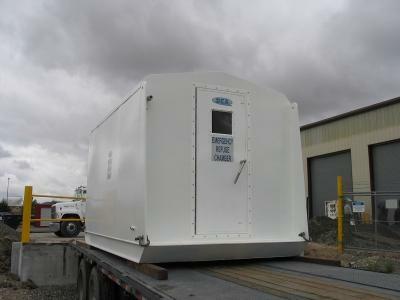 Emergency refuge chambers designed to provide miners with a fresh air base in the event of a fire in the mine. 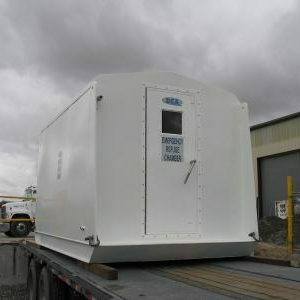 Since every mine is different, each unit is designed and custom built to suit the needs of each customer. Carbon dioxide scrubbing with no moving parts. System is strictly passive. Air lock entry with heavy duty handles and 3 point latching assemblies. Heavy steel skid with impact bars on each to prevent damage from muckers during handling.